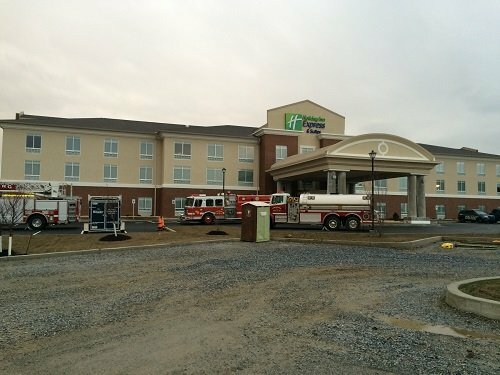 The members of the Strasburg Fire Company toured the new Holiday Inn at 1900 Historic Drive in Strasburg Borough on Monday evening. The hotel opens on Tuesday April 5th. Hotel guests can enjoy a plethora of amenities including business and family friendly accommodations, Indoor Pool, free high-speed wireless internet access, and complimentary Express Start™ breakfast served daily. Guest can also experience the fully equipped fitness facility.